TORONTO, Feb. 5, 2019 /CNW/ - FSD Pharma Inc. (CSE: HUGE) (OTC: FSDDF) ("FSD Pharma") and Solarvest BioEnergy Inc. (TSX-V: SVS) ("Solarvest") (collectively, the "Parties"), a technology company which has developed an algal-based flexible production platform capable of producing health products, are pleased to announce that they have signed a non-binding letter of intent ("LOI"). The parties intend to enter into a definitive agreement (the "Collaborative Research Agreement"), under which Solarvest would conduct research using its algal expression technology to develop pharma-grade cannabinoids (the "Project Cannabinoids"), the Parties would make mutual investments into one another, and Solarvest would grant FSD Pharma an exclusive license over a subset of the Project Cannabinoids and certain royalty rights over all of the other Project Cannabinoids. Solarvest plans to develop and carry out a research project (the "CBD Research Project") using its algal expression system for the purpose of developing a proof of concept that algae can express the Project Cannabinoids (the "Proof of Concept"). The Parties intend to develop a formal budget and timelines to carry out the CBD Research Project under the Collaborative Research Agreement, and will establish a joint scientific review committee, comprised of representatives from both Parties, to assess the progress of the CBD Research Project against these budgets and timelines. Once Solarvest successfully develops the Proof of Concept, the Parties intend to enter into one or more license agreements (together, the "Exclusive License Agreement"), under which Solarvest will grant FSD Pharma an exclusive, worldwide license over any use of the Project Cannabinoids to produce prescription drugs that can treat diseases affecting the central nervous system (the "FSD Licensed Indications"). The Exclusive License will contain terms and conditions usually contained in agreements of a similar nature. In addition to the licensing arrangement, Solarvest will pay a royalty fee to FSD Pharma on Solarvest's sale or licensing of any of the Project Cannabinoids, other than the FSD Licensed Indications, equal to 5% of the net sales or net license fees, provided that once Solarvest has paid an aggregate of $3,000,000 in royalty fees, the royalty percentage will be reduced to 3%. c) Solarvest will issue a convertible debenture to FSD Pharma in the principal amount of $2,400,000 (the "Solarvest Debenture"). The Solarvest Debenture will have a term of five (5) years, bear interest at a rate of 3% per annum, and be convertible into Solarvest Shares at a conversion price of $1.00 per Solarvest Share, provided that FSD Pharma will be required to convert the Solarvest Debenture should Solarvest Shares close at a price of at least $1.20 for a period of 20 consecutive trading days. "If successful this could dramatically disrupt current cannabis cultivation methods for medical purposes. It could reduce the majority of time, space and costs associated with cannabis cultivation for medical purposes specifically cannabis with GMP Certification. We are very pleased to collaborate with Solarvest on the development of promising alternative methods of cannabinoid production using algal technology" said Zeeshan Saeed, President and Founder of FSD Pharma. "We have been impressed by Solarvest's management knowledge and operations and believe that future commercial production of cannabinoids using their algal-based production platform combined with our proposed investment in Solarvest have the potential to create significant value for our shareholders." "This is an exciting opportunity for FSD Pharma and is in line with our company's strategic direction. We are continuing to focus our attention and efforts on advanced synthetic cannabinoid R&D and production for the purpose of finding better treatment outcomes for certain diseases of the central nervous system, sleep disorders, certain skin conditions and also looking into effective ways of combating the scourge opioid epidemic in North America. We look forward to working with Solarvest and anticipate positive results from their research study using algae technology to produce pharma-grade bio-synthetic cannabinoids," added Dr. Raza Bokhari, Executive Co-Chairman of the Board of Directors of FSD Pharma. Solarvest is an algae technology company whose production platform provides it with an extremely flexible system capable of being adapted to produce numerous products. The company has successfully produced "Organic Omega 3 DHA" fruit gummies and food boosting powders. The platform has also successfully demonstrated (news release dated March 16th, 2015) the expression of bone morphogenetic protein, a high value therapeutic protein. The Company has successfully produced recombinant viral antigens (immune stimulating proteins), Cecropins (antimicrobial peptides/protein) and has completed a feasibility study for the expression of CBD and THC as a way to produce cannabinoids in sterile GMP facilities. Neither the Canadian Securities Exchange (the "CSE") nor its Market Regulator (as that term is defined in the policies of the CSE) accepts responsibility for the adequacy or accuracy of this release. Certain statements contained in this press release constitute forward-looking information. These statements relate to future events or future performance. The use of any of the words "could", "intend", "expect", "believe", "will", "projected", "estimated" and similar expressions and statements relating to matters that are not historical facts are intended to identify forward-looking information and are based on the FSD Pharma's current belief or assumptions as to the outcome and timing of such future events. Actual future results may differ materially. In particular, this release contains forward-looking information relating to the Parties' plans to develop and carry out the CBD Research Project, Solarvest's development of the Proof of Concept, the ability of the Parties to commercialize the Project Cannabinoids, the execution of the Exclusive License Agreement, and the Parties' intentions to make equity investments into one another. Actual results and developments may differ materially from those contemplated by these statements depending on, among other things, the risk that the requisite regulatory and board of direct approvals are not obtained, the failure of Solarvest to develop the Proof of Concept, and the failure of the Parties to successfully commercial the Project Cannabinoids. 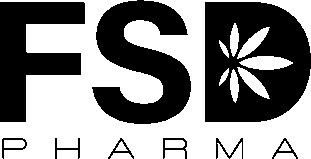 The forward-looking information contained in this press release is made as of the date hereof, and the neither FSD Pharma nor Solarvest is obligated to update or revise any forward-looking information, whether as a result of new information, future events or otherwise, except as required by applicable securities laws. Because of the risks, uncertainties and assumptions contained herein, investors should not place undue reliance on forward looking-information. The foregoing statements expressly qualify any forward-looking information contained herein.